When you close your eyes to sleep, where will you end up? How about space? That’s what happens to these two little boys when they say goodnight to their toy rockets! 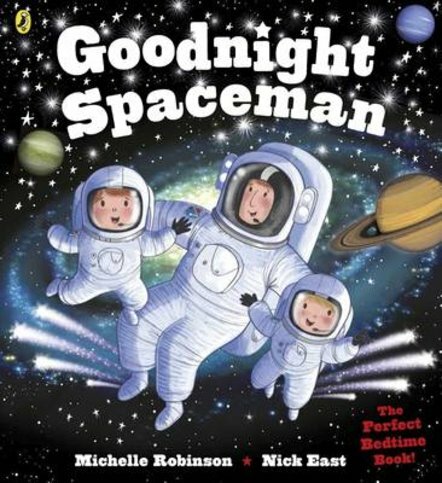 They say goodnight to all their space things: their model space stations, launch pads and planet mobiles. They wave goodnight to Dad, far away above their heads in space. Then they get tucked up in bed and close their eyes to sleep. But wait – isn’t that a real live spaceman whisking them into orbit? Hello, Dad!